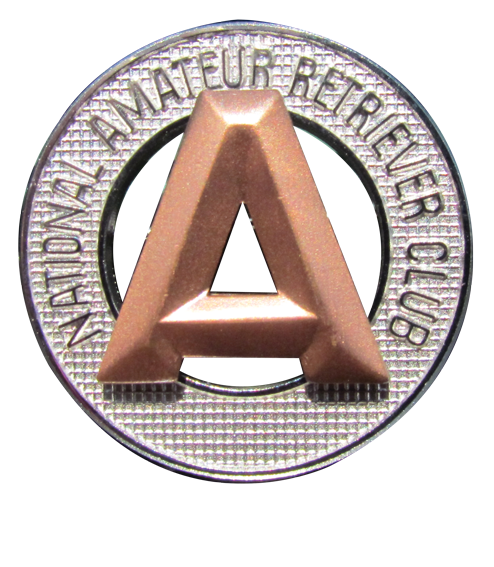 WELCOME to the Official Blog of the 2013 National Amateur, June 16-22 held this year in Mondovi, Wisconsin. This year's Blog is brought to you by the Retriever News and sponsored by Purina, Avery, Ainley, Move the Dog Transportation, Watermark Retrievers, Schreiners Retriever Training, Days End Retrievers and Field Dog. We hope you enjoy these multi-daily updates and please come back often! Saturday's Schedule of Events...and MORE! At 2:04 pm the RAC meeting was called to order by John Russell. Kate Simonds asked John Russell to stand in for her. John introduced the members of the board, they were: John Goettl from the Mountain Time Zone, Ray Vreeland from the Eastern Time Zone, John Russell from the Central Time Zone, Doug Ljundgren is Vice President from AKC, Lisa Carrol who is the Manager for Performance Events, and Jerry Mann who is the Field Director of Sporting Events. Doug, Lisa and Kate have worked this past year to overhaul how the committee is set-up. With the retirement of Nelson Sills, the opportunity arose to revise and adjust the committee. They will continue to have one member from each time zone, plus a chairman. They will initiate term limits of 8 years. Ray Vreeland will be the new Eastern rep. as Kate Simonds moves to Chairman. In the Central Time Zone Bob Kennon, has been the rep. for 29 years. He is retiring and will be replaced by John Russell. In the Western time zone, Bill Daley will resign and a new representative will be appointed. When a rule change takes effect, an email is sent to the president and secretary of every retriever club. There were two items that have previously been up for discussion and now have passed into law. The first is the definition of Amateur Status. The second is the prohibition of Layout Blinds. A brief summary was given for each of the above mentioned rule changes. Stake with minor stakes, but no Open. 2. Limit Amateur Handlers to 3 dogs , per stake, at a clubs' discretion. The above two topics are young and just beginning to have formal discussions. There was quite a bit of activity on the floor as various thoughts were shared on the two new ideas. The room seemed to follow the thought process that the mechanics of running a trial need improving versus the reduction in numbers. Emphasis was put on the job of Field Trial Marshal.